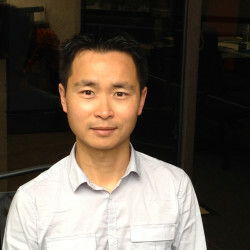 Yu Xu is a Founder & CEO at GraphSQL. The series A round of funding was led by Mohr Davidow Ventures with participation from Mack Capital, RSL Ventures, Capital Factory, and Bazaarvoice cofounder Brett Hurt. The Social + Capital Partnership led this round, with participation from Greylock Partners, which led CreativeLive’s $7.5 million Series A round in October 2012. The company raised $2.25 million in its seed round today. Ad-tech startup OneSpot closes $5.3MOneSpot has raised $5.3 million to help grow its ad targeting platform, the company announced today. The mobile gaming developer has raised $20 million in financing from venture capitalists Pinnacle Ventures and Andreessen Horowitz.